Home / Featured / Finncial / Lifestyle / Brandon Samba: Inspiration, hard work and a commitment to pay it forward. Brandon Samba: Inspiration, hard work and a commitment to pay it forward. 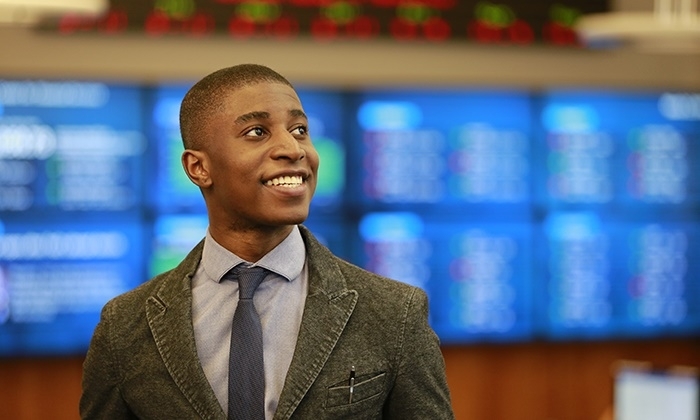 Samba started an investment club at his San Diego high school to teach students about the financial markets and connect with others who liked business. It was a natural progression when he came to Bentley: In 2015, the Finance major founded Captains of Capital to help kids in underserved communities learn financial literacy and money management skills. “I worked with six other students during the spring of my first year at Bentley. In under two years, our ‘captains’ engaged with more than 500 students,” Samba says, crediting much of the success to collaboration with organizations such as Junior Achievement. 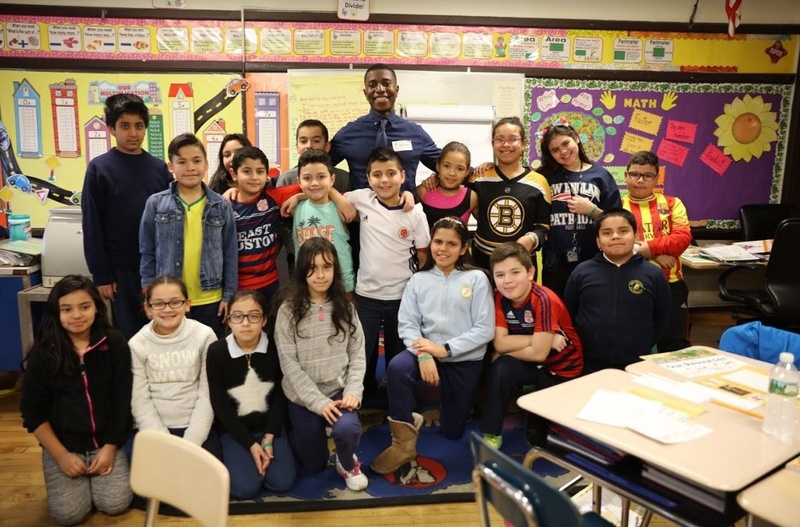 Captains of Capital also worked with the Boston Mayor’s Office and Junior Achievement to host an all-day event at an inner-city elementary school, where they worked with two classes of students. Samba believes many low-income children haven’t been taught basic financial principles, which hampers their chances of success in life. “A lack of access to resources – including financial literacy education — is a contributing factor to the cycle of poverty,” he says. Captains of Capital teaches students financial lessons they can use in their daily lives. For example, Samba recently presented on the entrepreneurial mindset at the Financial Fortitude Expo and Economic Development Conference in Boston, explaining entrepreneurial traits such as teamwork, resourcefulness and leadership. > Brandon Samba with kids at the James Otis Elementary School in East Boston. Avery Dunn ’20, the vice president of Captains of Capital, has seen the group’s impact firsthand. For the Bentley captains, it all circles back to helping the kids. Samba — who overcame his own financial struggles in a new country — is proof that knowledge is power. And he believes it should be shared. Through the Bentley Service-Learning and Civic Engagement Center, he worked with America Clicks!, a one-on-one tutoring program that teaches technology skills to elementary school students. He was also a mentor at the Watertown Boys and Girls Club.